The fifth grade will be participating in a pepperoni roll fundraiser. The fundraiser will run until October 1st, 2018 at which time all orders and money will be due (no orders will be accepted early). The pepperoni rolls will be DELIVERED on Thursday, October 11th. It will be the responsibility of the parent to pick the pepperoni rolls up at Grand Valley Middle School on this day, as we do not have any accommodations to refrigerate overnight. The cost of each pepperoni roll is $2.00. 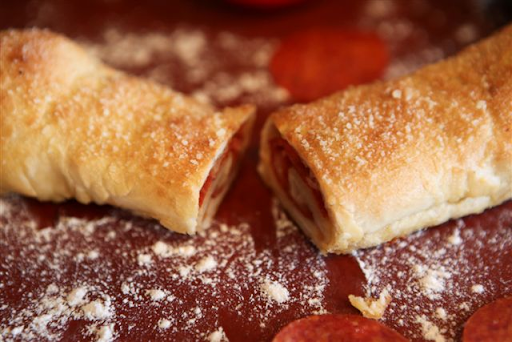 The money must be collected when the sale is made (Cash or check made payable to Grand Valley Local Schools).The pepperoni rolls are approximately 7” long and are individually wrapped in foil to make it easy to refrigerate or freeze. Our goal is for each student to sell as many as possible. We are hopeful that parents can take the order forms to work and for students to sell ONLY to family and friends!! We do not want students going door to door. The rolls make an easy lunch or dinner and are very affordable. Please help us in making this fundraiser a success. We want to be able to reward students for their hard work and accomplishments throughout the year with the money we raise (honors luncheons, behavior rewards, etc.) You will find the order form attached. More order forms are available if needed. Thank you in advance for your help!